Brian Pallister's Progressive Conservative government was sworn in this morning at a ceremony that ends speculation about who will be appointed to his 12-person cabinet. CBC is live streaming the ceremony here starting at 10 a.m. CT.
After nearly 17 years of New Democratic Party dominance, the Progressive Conservatives under Brian Pallister were officially sworn in as Manitoba's new government today. The ceremony, which began at at 10 a.m. CT, was officiated by Manitoba Lt.-Gov. Janice Filmon at the Canadian Museum for Human Rights. A spokesperson for Pallister said the PC leader chose the downtown Winnipeg museum for the ceremony after being at the museum before last month's televised leaders' debate. "It was on that evening that the idea of utilizing this inspiring and symbolic space for the swearing-in of a potential new government began to form," the spokesperson said. The museum was picked as a "recognition of the importance of trust, compassion, common sense, inclusion and teamwork as we take on the challenging task of putting Manitoba back on track." The ceremony began with a traditional greeting by an elder. The Winnipeg Youth Chorus group Enharmony also performed. The event marks nearly two weeks of speculation since the PCs' victory in April as to who will be in Pallister's cabinet. Pallister promised a cabinet of 12 — down from the NDP's 19 — yet he has a historic-sized caucus of 40 members from which to chose. Paul Thomas, professor emeritus of political studies at the University of Manitoba, has spoken with former premiers about choosing a cabinet. Tuxedo MLA Heather Stefanson could get a top cabinet role. (CBC News)"They say it's the toughest part of the job: looking somebody in the face and saying, 'You know, you've done a really good job as our designated critic on this particular policy field, but at this round of cabinet appointments, at least, I am going to have to leave you outside,'" Thomas said. Thomas said Pallister has a lot of considerations to balance, given the limited spots available, and will have to blend veterans and newcomers into the cabinet. Thomas speculated that Tuxedo MLA Heather Stefanson, Steinbach representative Kelvin Goertzen and Charleswood's Myrna Driedger would all be good bets for top spots such as finance, justice and health. 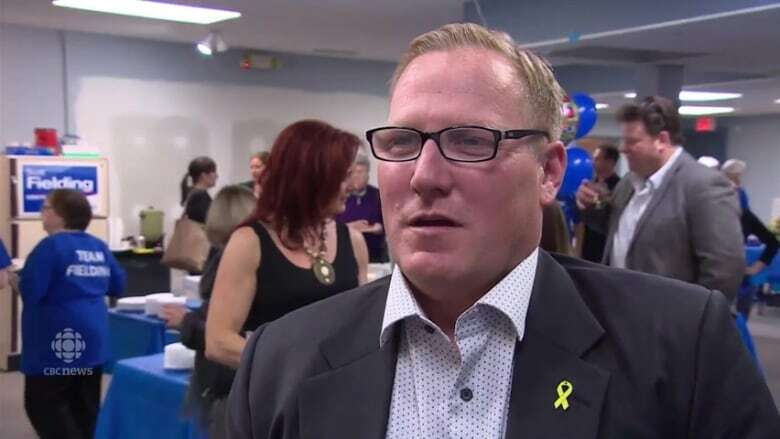 Former Winnipeg city councillor Scott Fielding, now the PC MLA for Kirkfield Park, could land a cabinet role after jumping into provincial politics. (CBC News)Former Winnipeg city councillor Scott Fielding may also land a spot. 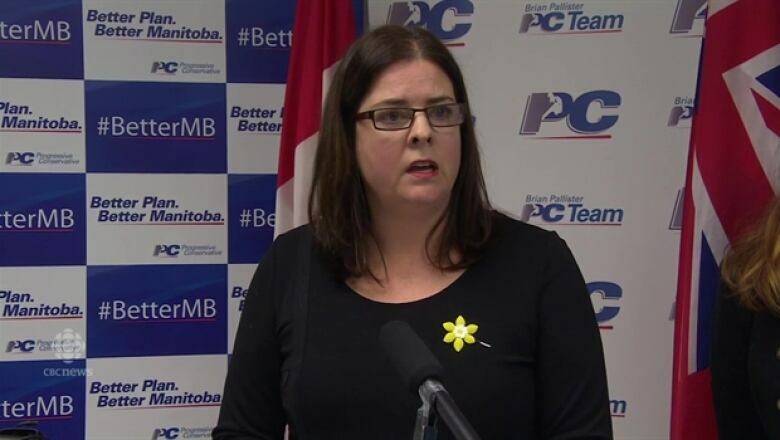 Traditionally, a member from Brandon is a lock for a cabinet position as well, Thomas added. Thomas believes Pallister has to include a mix of urban and rural members, as well as mix party stalwarts who represent both the more ideological parts of his party with more progressive elements. Pallister has said that gender parity in his cabinet is important. Dropping the number of cabinet ministers to 12 does not mean the work of government is necessarily reduced. Departments will be melded together and Thomas said that has an effect on the civil service. "You don't know where you are going to be sitting the next day and who is going to be your deputy minister. And we are getting some departures in the ranks of deputy ministers and all of that is creating some uncertainty — not so much about job security but, 'Will I be able to have my ideas matter in this new structure?'" Thomas said. Thomas said the first priorities of the Pallister government will likely be to focus on the spring session and prepare a budget. The incoming premier will also have to appoint some committee chairs and caucus positions and select some legislative assistants, he said.